Avocat au Barreau de Lyon and Avvocato in Milan, Thierry Bonnet has been a partner of CastaldiPartners since 2017. Specializing in international, European Union and arbitration law, he mainly assists Italian companies in France with their projects and litigation. 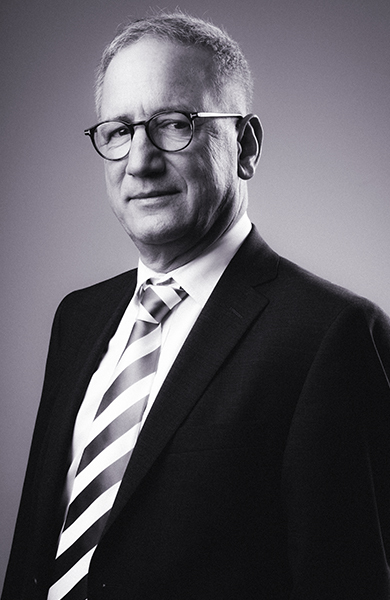 In 2009, Thierry Bonnet founded Anceo. His areas of expertise include contract, distribution and competition law, as well as product and manufacturer liability. He has solid experience in legal expertise related to his clients’ activities. He serves as a member or chair of national and international arbitration tribunals, and chairs CIMA (Centre Interprofessionnel de Médiation et d’Arbitrage) arbitration service in Lyon. His working languages are English, French, Italian and Spanish. Assisting an Italian luxury goods buyer within the framework of insolvency proceedings in France. Assisting a French group in the negotiation and execution of a contract for the construction of a chemical treatment line with its Italian supplier. Assisting an Italian jewellery group in its litigation with its French franchisee network. Assisting an Italian industrial fan manufacturer on a waste recovery site in the legal expertise and transactional negotiations in England and France. Assisting an Italian group that manufactures industrial equipment for the wine sector in a legal expertise in France. At the Université Jean Moulin - Lyon 3, Thierry Bonnet teaches international arbitration practice and Italian business law in the Master’s Degree 2 “International and Comparative Law” and “Languages-Law-Commerce”. He used to teach in the Master’s Degree “Juriste manager international” of EM Lyon. He chaired the Human Rights and Defence Protection Commission of the Lyon Bar, later on the International Commission (CIBLY) until 2008. He chairs the Board of Directors of the Italian Chamber of Commerce in Lyon and is Honorary Consul of the United Mexican States. He is a member of the Association française d’Arbitrage, the Comité français de l’Arbitrage, the Camera Arbitrale dei Dottori Commercialisti of Milan, and is accredited with several international arbitration institutions.